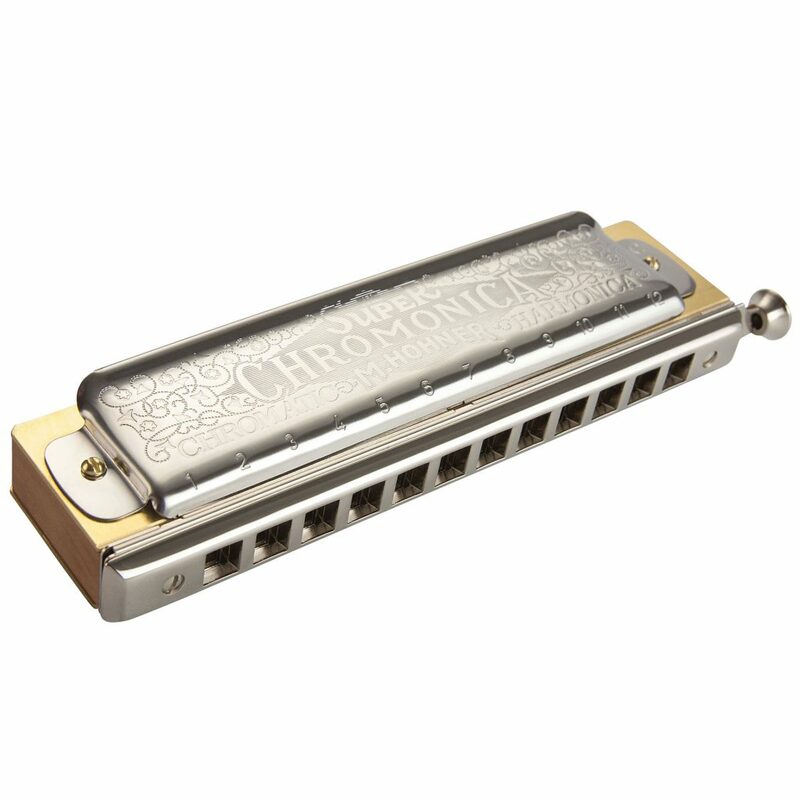 This post shows the notes included in the major scales and how they are played on a solo layout 12 hole chromatic harmonica in key of C. The idea is to help visualise the different keys. Repeated or choice notes are shown so you may make your own choice from the alternatives shown. In all the diagrams, the upper two rows are the blow notes, and the lower two rows are the draw notes; the top and bottom rows are played with the slide pressed, as shown in the diagram for C Major. In all cases (for Ionian/Major) the tonic note is shown in red, the Third in green and the Fifth in blue. No Sharps or Flats in Signature. A Natural Minor AKA Aeolian. B Locrian. C Ionian. D Dorian. E Phrygian. F Lydian. G Mixolydian. Blow, Slide In . F . . . F . . . F . .
E Natural Minor AKA Aeolian. F# Locrian. G Ionian. A Dorian. B Phrygian. C Lydian. D Mixolydian. B Natural Minor AKA Aeolian. C# Locrian. D Ionian. E Dorian. F# Phrygian. G Lydian. A Mixolydian.
. E G . . E G . . E G .
F# Natural Minor AKA Aeolian. G# Locrian. A Ionian. B Dorian. C# Phrygian. D Lydian. E Mixolydian.
. E . . . E . . . E . .
C# Natural Minor AKA Aeolian. D# Locrian. E Ionian. F# Dorian. G# Phrygian. A Lydian. B Mixolydian. D# F# . . D# F# . . D# F# . .
G# Natural Minor AKA Aeolian. A# Locrian. B Ionian. C# Dorian. D# Phrygian. E Lydian. F# Mixolydian. D# F# A# . D# F# A# . D# F# A# . D# Natural Minor AKA Aeolian. E# Locrian. F# Ionian. G# Dorian. A# Phrygian. B Lydian. C# Mixolydian. D Natural Minor AKA Aeolian. E Locrian. F Ionian. G Dorian. A Phrygian. Bb Lydian. C Mixolydian.
. F . . . F . . . F . .
D F A . D F A . D F A .
G Natural Minor AKA Aeolian. A Locrian. Bb Ionian. C Dorian. D Phrygian. Eb Lydian. F Mixolydian. C Natural Minor AKA Aeolian. D Locrian. Eb Ionian. F Dorian. G Phrygian. Ab Lydian. Bb Mixolydian.
. F Ab . . F Ab . . F Ab . D F . . D F . . D F . .
F Natural Minor AKA Aeolian. G Locrian. Ab Ionian. Bb Dorian. C Phrygian. Db Lydian. Eb Mixolydian. Eb . Bb C Eb . Bb C Eb . Bb . Bb Natural Minor AKA Aeolian. C Locrian. Db Ionian. Eb Dorian. F Phrygian. Gb Lydian. Ab Mixolydian. Eb Gb Bb C Eb Gb Bb C Eb Gb Bb .